Undersheriff Travis McElderry was born and raised in St. Ignatius Montana, moving to Ravalli County in 2002. Undersheriff McElderry is a 16 year veteran of the Ravalli County Sheriff’s Office. Undersheriff McElderry started his career in law enforcement in 2001 as a Police Officer for the Ronan Police Department. In 2002 Undersheriff McElderry became a member of the Ravalli County Sheriff’s. During his years with RCSO, Undersheriff McElderry has served as a Deputy, Deputy Coroner, Field Training Officer/Corporal, Patrol Sergeant, Patrol Lieutenant, and recently asked to serve under Sheriff Steve Holton as his Undersheriff. Undersheriff McElderry graduated the Montana Police Academy in 2001, has hundreds of hours of Montana POST training, and currently holds Montana POST Intermediate, Advance, and Supervisory Certifications. 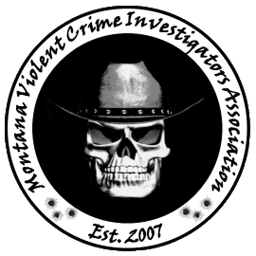 Undersheriff McElderry has been a member of the MVCIA since 2010 and has served on the board since 2014. Officer Kodi Kaiser is a lifelong Billings resident. Kaiser graduated from Billings Senior High School in 2000 and Rocky Mountain College in 2005 with a Bachelor of Science degree in History/Political Science and Philosophy and Religious Thought. He also has an Associate in Applied Science degree in Construction Management from Washtenaw Community College. Kaiser began his career in law enforcement working for the Big Horn County Sheriff’s Office. Kaiser obtained the rank of Detective Sergeant before transferring to the Billings Police Department where he is currently assigned to the patrol division. Kaiser has investigated a wide variety of felony cases from property crimes to violent crimes. Kaiser has hundreds of POST certified training hours with an emphasis on Child Abuse investigation. Kaiser is a Child Forensic Interviewer and a Drug Recognition Expert. 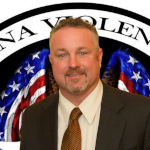 Kaiser has been a MVCIA board member since October 2012. Detective Shane Bancroft was born and raised in Northern New Jersey but has lived in the Billings Montana area for almost 20 years. He has been with the Yellowstone County Sheriff’s Office since 1998. Over the course of his career he has served as a Patrol Deputy, an FTO, a Coroner and a Crisis Negotiator. 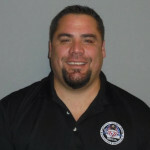 He was assigned to the HIDTA/CCSIU Drug Task Force from 2005 to 2009 serving in an undercover capacity and as case agent. 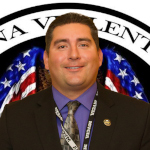 He has been assigned to the YCSO- Detective Division since 2010. 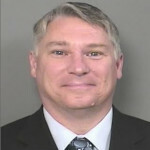 In 2012, He attended the 31st Session of The National Forensic Academy in Knoxville, Tennessee. The course of study included training at “The Body Farm”; at The Anthropological Research Center at the University of Tennessee. He is an IAI Certified Crime Scene Investigator. Currently he investigates felony cases, with interest in violent crime and death investigations. Justin Bradley is a sixth generation Montanan and was raised in the Bitterroot valley. After graduating from Stevensville High School in 2001, he joined the United States Marine Corps, where he was assigned to Second Battalion Third Marines in Kaneohe Bay, Hawaii. Shortly after graduating from the School of Infantry he participated in Operation Enduring Freedom in the Philippines. He served on three more deployments the last being in Support of Operation Enduring Freedom in Afghanistan. Justin received the rank of Sergeant and was honorably discharged in April 2006. He then enrolled in Flathead Valley Community College and later transferred to the University of Montana where he graduated with a degree in Sociology/Criminology in 2010. Shortly after graduating Justin was hired as a misdemeanor probation officer and helped design and implement a new misdemeanor probation program for the city of Missoula. In 2012, he was hired as a Probation and Parole Officer for the Montana Department of Corrections in Bozeman. He began working as a traditional officer but later became an Intensive Supervision Officer (ISP). In 2014 Justin transferred to Missoula where he continued to work as an ISP Officer before transitioning back to a standard Probation/Probation Parole Officer in 2018. 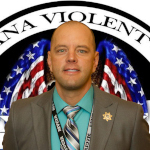 He is currently a liaison for the Missoula County Sheriff’s Department, the Missoula High Intensity Drug Trafficking Area program and a DSO for the US Marshal Service. Justin has had the opportunity to work closely with numerous drug investigations, violent crimes and fugitive apprehensions. Kevin Cunningham joined the Yellowstone County Sheriff’s Office in May, 1994, and has a law enforcement career spanning 23 years. In that time he has been a Detention Officer, Patrol Deputy, Deputy Coroner, Narcotics Detective assigned to the City/County Special Investigations Unit/Eastern Montana HIDTA, and Detective assigned to the regular YCSO Detective Division. In September 2013, he was promoted to the rank of Sergeant and reassigned to the YCSO Patrol Division. In November, 2016, he was promoted to the rank of Lieutenant, where he continues to be assigned to the YCSO Patrol Division. Lt. Cunningham was born and raised in Billings, Montana, and is a third generation law enforcement officer serving that community, with his grandfather and father serving before him. 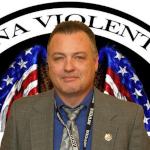 He has been a Montana Violent Crime Investigators Association Board Member since 2010. Bill Pandis was born in Choteau, and raised in Great Falls, MT. He is currently a Detective for the Lewis and Clark County Sheriff’s Office. Bill started his law enforcement career in Missoula County as a Detention Officer in January of 2000. He worked for the Missoula County Detention Center until about September of 2004. At that point he was hired as a Deputy Sheriff for the Mineral County Sheriff’s Office while also serving as a Deputy Coroner. In November of 2011, Bill left the Mineral County Sheriff’s Office as a Patrol Sergeant and was hired with the Lewis and Clark County Sheriff’s Office. In November of 2015 Bill was assigned to the Criminal Investigation Bureau where he primarily investigates major crimes and crimes against children. Recently Bill was assigned to the Internet Crimes Against Children position for the LCSO. He was also appointed as a Task Force Officer for Helena’s FBI ICAC Task Force and sworn in as a US Special Deputy Marshall. In addition, Bill has held and currently holds numerous extra duty positions with the LCSO, including Field Training Officer, Hostage Negotiator, a member of the LCSO and Helena Police Department joint Civil Disobedience Team, Background Investigator, a former board member of the Lewis and Clark County DUI Task Force, and a member of the Helena area Child Protection and Multi-Disciplinary Teams. Also, Bill was recognized as the LCSO Deputy of the Year for 2017. Bill looks forward to serving on the MVCIA board and taking on the challenges that position brings. Detective Frank Fritz is originally from San Diego, California and grew up on the East Coast. Detective Fritz moved to Montana in 1983 and attended Billings Senior High School, where he graduated in 1984. After graduation Detective Fritz enlisted in the US Marine Corps. Detective Fritz spent approximately 7 1/2 years in the Marines moving back to Montana in 1990. In 1994 Detective Fritz was hired at the Yellowstone County Detention Facility where he spent the next 4 years. In 1998 Detective Fritz became a sworn Yellowstone County Deputy Sheriff and attended the 104th Session of the Montana State Law Enforcement Academy. From 1998 to 2007 Detective Fritz was assigned to the patrol division. While assigned to the patrol division Detective Fritz was assigned an FTO. In 2007 he was assigned as a Detective in the City County Special Investigations Unit. Detective Fritz was also assigned as a Task Force Officer (TFO) with the FBI’s Big Sky Safe Streets Task Force. While assigned to the Safe Streets Task Force, Detective Fritz investigated various drug trafficking cases and drug related conspiracies. In September, 2009 Detective Fritz returned to his parent agency, YCSO, and was assigned to the Detective Division. Detective Fritz is currently assigned as a general Detective. His duties include but are limited to, investigating violent crimes, such as, arsons, robberies, burglaries, shooting type cases, homicides, as well as financial crimes. Detective Fritz is also assigned as one of three fire/arson investigators for the YCSO. Detective Fritz graduated from the National Fire Academy in May, 2011. Detective Fritz’s main interest is investigating violent crimes. Detective Fritz has been married for 33 years to his wife Sheri and has 3 children, Heather, Brittany, and Tyler as well as 3 Grand Daughters, Maddie, Ella and, Melody and a Grand Son, Rylan. Derek Mahlum was born and raised in Wolf Point, Montana. He started his career with the Wolf Point Police Department in 2004. During this time he worked with various state, local, tribal and federal agencies policing Indian Country. In 2005, he took a position with the Havre Police Department where he worked until 2011. During this time, he served as a firearms instructor, field training officer and left the agency as a patrol sergeant. During this time, he enjoyed seeking out the most difficult of cases in order to develop them to be presented to the appropriate state or federal attorney for prosecution. 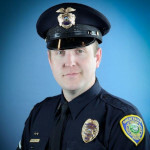 In 2011, he took a position with the Great Falls Police Department. He was later assigned as a general case detective in 2015 where he is currently assigned to the Investigative Services Unit. During his time, Det. Mahlum has led and assisted with numerous homicide/death investigations. This position allows him to investigate numerous violent crimes to include robberies, suspicious deaths, shootings and major assaults. Det. Mahlum is also pursuing certification as a Crime Scene Analyst with the International Association of Identification.